Abstract—This paper presents a characteristic of data transmission in bus network under a new priority processing. This priority processing is that a sending station waits for a high priority datum on waiting probability when there is no high priority data, and then sends the arrival high priority datum. In this bus network, each station is connected to a bus through a switching-hub which establishes a link from a sending station to a receiving station. When the receiving station is sending or receiving a datum, the link cannot be established, and then the sending station has to wait a little waiting time (stand-by time). Let me define the link probability as a constant and the waiting probability as a constant. Taking note of one of the sending stations with two sending buffers for high priority data and low priority data, a balance equation of the probabilities of the number of waiting data at the ready time of sending is expressed in steady state. From the balance equation, for each priority level, probability of the number of waiting data, mean of the number of waiting data and mean waiting time are derived. The calculated values of mean waiting time are illustrated and they are compared with mean waiting time with simple priority processing. As a result, the influence of the waiting probability and the link probability on characteristic of data transmission is clarified. Index Terms—Bus network, probability of the number of waiting data, mean of the number of waiting data, mean waiting time, priority processing, link probability, waiting probability. M. Ooki is with the Dept. of Integrated System Engineering, Computer Engineering Course, Nishinippon Institute of Technology, 1-11 Aratsu, Kanda-machi, Miyako-gun, Fukuoka, Japan (e-mail: ooki@nishitech.ac.jp). 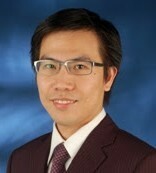 Cite:M. Ooki, "On a Characteristic of Data Transmission in Bus Network under Priority Processing with Waiting High Priority Data," Journal of Advances in Computer Networks vol. 5, no. 1, pp. 1-7 , 2017.